ZANESVILLE, Ohio, Nov. 27, 2018 — Axion Structural Innovations, a leading provider of proven, tested structural composite solutions for a wide variety of industrial applications, will showcase its STRUXURE® Construction Mats at the 2018 International WorkBoat Show Nov. 28-30 in New Orleans. Axion’s STRUXURE® Construction Mats, cribbing and industrial supports are impervious to moisture and resistant to insects and rotting over time in either damp, dry or arid environments. STRUXURE® mats are engineered for consistent, predictable performance, far beyond the lifespan of traditional mixed hardwood mats. 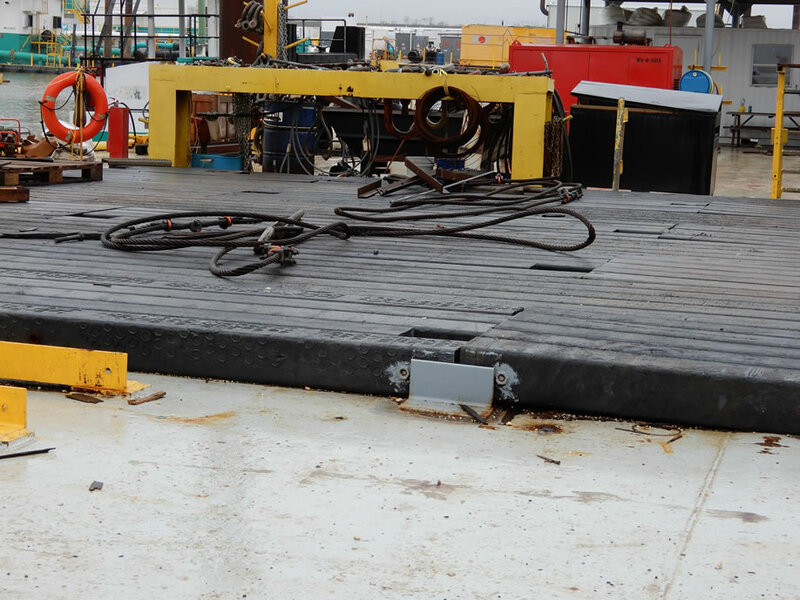 Axion’s various solutions range from standard heavy-duty mats to steel-reinforced heavy-duty mats, and custom sizes are ideal for use under heavy equipment operating on wet project sites that are common to the workboat industry. Show attendees can visit Axion Structural Innovations at booth #3869 to see firsthand how the company is changing the paradigm in industries that have historically relied upon traditional wood-based products for everything from railroad ties to construction mats. Axion’s products are stronger, more durable and perform better over time. The International WorkBoat Show convenes the best resources in the marine industry with thousands of professionals and over 1,000 exhibitors from around the world in attendance. Axion Structural Innovations is a leading provider of proven, tested polymer-based structural solutions that replace hardwood in a wide variety of industrial applications. Relying on proprietary technology that has been developed and refined for over a decade, Axion’s ECOTRAX® Composite Railroad Ties and STRUXURE® Construction Mats are stronger, more durable and longer lasting than hardwood based on repeated independent testing. Made of recycled post-consumer and post-industrial plastic, the company’s products help remove plastic from the waste stream and transform it into smart, sustainable, fully recyclable products for industries that include railroad and transportation, construction and energy. Axion is headquartered in Zanesville, Ohio. For more information, visit www.axionsi.com. STRUXURE® Composite Mats will not absorb water or other liquids and resist salt and most chemicals for long service life in any environment. Pictured is a two-year-old installation on an Orion Marine barge in Channelview, Texas.